THANK YOU. For 75 years it has been you and those who came before you who are and have been the pillars, the very foundation, of our vibrant Jewish community. Without your financial support and commitment to the work of the Jewish Federation of Madison it is no exaggeration to say that the Federation would not exist as we know it. Your support enables the Jewish Federation of Madison to do so many good things all around the world and right here at home. Your one gift benefits so many including securing the lives and safety of the Jews of Ukraine; protecting and advocating for the far too many Jews who face an onslaught of anti-Semitism; helping to settle thousands of Syrian refugees through the JDC and HIAS; supporting the Fund for Victims of Terror which provides direct and immediate assistance to Israelis after there has been an attack; and so much more. Locally, your one gift benefits Camp Shalom, Midrasha: Madison’s Hebrew High School, the Hilde L. Mosse Gan HaYeled Preschool; Israel programming; five beneficiary agencies; our exceptional Outreach program which successfully integrates newcomers into our Jewish community, Family education programming, and more. Your one gift helps support all of these initiatives and so many others. 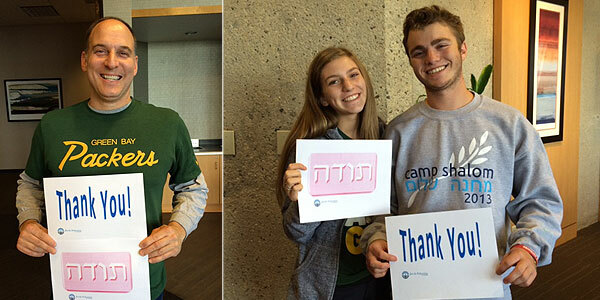 The 75th annual Tzedakah Campaign determines our direction and capacity to meet the ever-growing and critical needs of our Jewish community here in Madison, in Israel, and throughout the world. Thanks to you we raised $999,468.93! 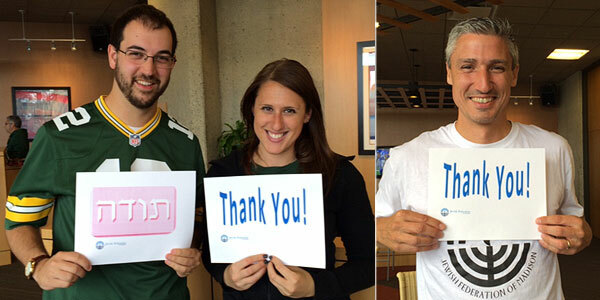 To everyone who has contributed to the Jewish Federation of Madison’s 75th anniversary campaign, thank you. Thank you for your generosity, support and loyalty. The Jewish Federation of Madison remains strong because of you.